As you prepare to sell your home, you’re probably wondering what you should do. Should you empty your house first before letting potential buyers see it? Should you leave your furniture in it so your potential buyers can get a good look at how things might be arranged? Should you stage it with rental furniture? 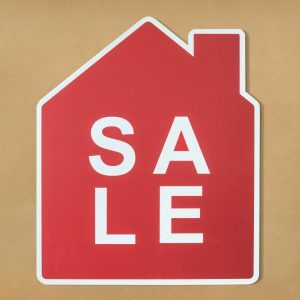 If you want a quick sale, there are things you can do to lure potential buyers into making an offer. Make your bathrooms sparkle. The goal is to make them look as new as possible. Walls should be free of stains, shower doors should be cleaned with a muriatic acid solution to remove all traces of soap residue, old shower curtains should be replaced with new, and bathroom floors should be spotless. Clean all grout with a grout cleaner, and be sure to remove all rust stains. Replace bathroom curtains, and clean interior and exterior windows. If your tile is old, consider painting it with a fresh coat of water-resistant paint. Prime the tiles before painting, and apply a ceramic-epoxy coating. Tile that looks dated or worn can cause you to lose a sale. Buyers must be able to picture themselves living in your space, so depersonalize it. Remove all family photos, any items with family members’ names on them as well as refrigerator magnets and art. Be sure all the toys are picked up and put away. Take the time to stow away knickknacks and clean out closets. Potential buyers need to focus on the available space, and you want to present them with as much uncluttered available space as possible. Nothing says, ‘new home’ like a fresh coat of paint. When choosing paint for walls, stick with flat rather than semi-gloss paint, and be sure to select a neutral color, such as a light beige or taupe. Brighter colors give the impression of a larger area. If you are painting over darker walls, you may have to apply a primer and allow it to dry before applying the desired color. Be prepared to put at least two coats of paint on any walls whose color you’re going to lighten. 4. Have your carpets professionally cleaned. No matter the age of your home, dirt, wear, and tear will take their toll on even the most expensive area rug or wall-to-wall carpet. If you own a do-it-yourself carpet cleaning machine, you may get satisfactory results for daily living, but before you open your home to potential buyers make sure to bring in a professional so that the job is done correctly. After your rugs or carpet are thoroughly dry, cover all traffic areas with thin (.1 – .4 mil) plastic. Even if your family wipes their feet before walking around your home, the chances are that potential buyers won’t clean theirs. 5. Make sure your home smells good. A fresh scent in your home will give potential buyers the sense of cleanliness. Smells are overpowering, and any potential sources of bad odors should be thoroughly cleaned before a showing. After cleaning up any bad odors in your home, use scented diffusers for a fresh scent. Pleasing fragrances for your home are orange, lemon, and grapefruit. Make sure the scents are lighter in aroma and avoid artificial wall plug-ins as sometimes those are overpowering. Take it easy with scents, as it’s easy to overcompensate. Freshly baked slice and bake cookies, a lemon rind ground in the disposal, and fresh flowers are all simple ways to make your home smell pleasant. 6. Set the furniture just right. Make sure the furniture is the right size for each room. Don’t clutter a room with too much furniture. Furniture that’s too small for a room will make the room feel cold, while furniture that is too large for the room will make the place seem small. Stay away from inexpensive looking furniture. You don’t have to spend a lot of money to change out some existing pieces to make the room appear better. The furniture should look nice, new, and make the room feel inviting. Arrange the furniture to make each room feel spacious yet homey. For example, in the living room, seating should be set up to create a gathering area around a fireplace. Good luck with your home sale! For additional tips on relocating check out our blog.